Two years experience required to be a part of this wonderful organisation in Dubai, The International Aesthetic Medical center. This medical center is one of the best in Middle East in the field of Aesthetic and Reconstructive Surgery. 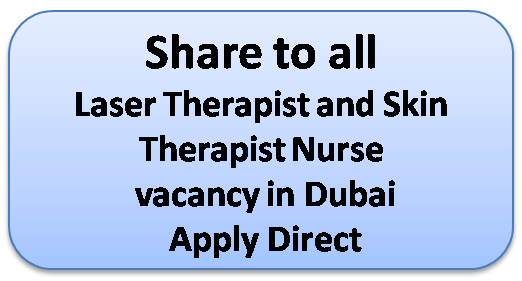 Email your CV to: Careers@iamc.ae. Other contacts are Phone :+971 4 349 8000 Fax :+971 4 349 7999 Address : Al Wasl Road, Opp. Jumeirah Post Office, Jumeirah 2, Dubai.U.A.E. Email :iamc@emirates.net.ae Website :http://www.iamc.ae You may please reconfirm the vacancies and other details before submitting the CV.